Want To Custom Formulate Your Own Supplements? Here are 5 things you must understand before creating your own custom formula. Understanding these 5 elements will help you create a high quality, best-selling supplement line. 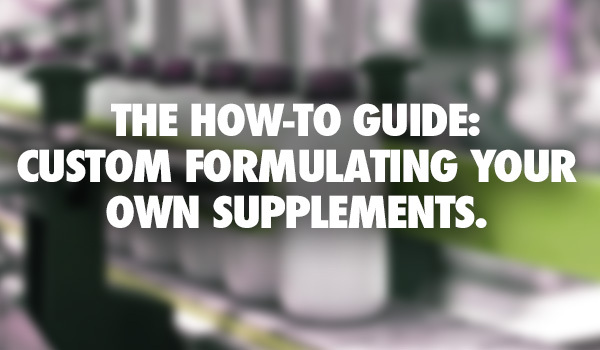 To create a unique supplement that will serve its intended purpose; one needs to understand the entire process of making one. Seek out and hire a professional manufacture that understands what is needed to create products for you and your business. Custom supplement lines must be tested to ensure that they are safe for human consumption so if you choose to have another company manufacture your line, demand a certificate of analysis with each batch to uphold integrity and safeguard your customers. This is an important aspect of supplement manufacturing as it gives potential customers the first impression of your company. Design appropriate labels for your products ensuring that they are memorable. If you do not trust your own design skills, consider hiring a professional to help out. 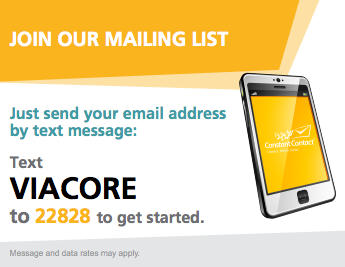 Many manufactures such as Viacore Nutrition have in-house designers to help you with your branding. Remember that the labels on your product need not only be attractive but must also bear important disclaimers and statements as required by the FDA or its equivalent. Advertising campaigns are a great way to expose your brand to potential customers but there is a catch-make sure that the product does exactly what the label says. If for example customers try your weight loss supplement and it doesn’t work in three months as indicated on the label, they will be frustrated. Chances are that they will go online to vent which will create immediate distrust among others who might have considered it. Experts on supplements advice people to try and make the best product possible instead of introducing substandard supplements that give the entire industry a bad rap. Custom supplement lines become tricky business when it comes to setting the price. You need to be very careful at this stage to create the perfect balance with the pricing of different supplements in your line. Charging too much will obviously limit your sales while a very low price obviously lowers the profit margins. To charge the best rate that will give you an edge over competitors, carry out some market research to see what they are charging for similar products. Entrepreneurs prefer directly selling their products to customers and while that is a great thing, it is not the only way. Some people find it easier to have renowned distributors carry their brand instead because many retailers only buy what their trusted distributors have as opposed to buying directly from manufacturers. Those who prefer direct selling can try getting retailers’ attention by giving them free products to start with. This is a major sign that your product is legit and if customers respond well, the store will have no choice but to carry them. However another popular source that is taking off right now for selling your supplement line without a distributor are online channels such as Amazon and eBay. Combined, these online channels have millions of visitors a day visiting their website looking to purchase just about anything and everything. These online channels are the new wave for selling because the reach is huge and worldwide. Being able to sell to another country and another market makes it even easier to reach without the need of a distributor. In additional to the traffic they receive they’re also trusted websites. People trust the brand and what they sell on their site which in turn converts visitors into buyers more easily another unknown website. Your product is out there and orders are streaming in but you do not have enough products to meet the demand…This is a common problem faced by new entrants to this industry but you can escape it by ensuring that there is some surplus in stock to meet surging demand. It is not easy to predict how many units people will buy but it certainly doesn’t hurt to make a few extra supplements just in case. Customers will easily switch brands if you do not have enough of what they need when they do and it is up to you to keep this from happening. With these lessons about starting a custom supplement line, you are ready to venture into profitable business as long as you can uphold the high standards set by competitors, consumers and regulators.